Description: Open sun. April 19, 2-4 this truly is a special property with magical ocean and mountain views!! Nestled high on a wooded lot, nature abound, windows in all directions. 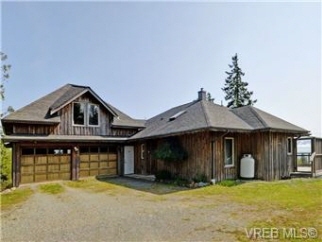 Very private, custom built ranch style home and beautiful birch wood floors throughout. Custom milled,extra thicknes. Shaker, birch kitchen cabinets, an island, tiled floors and views. Feature floor to ceiling fireplace. Quality fixtures. 2 skylights for natural lighting. Master bedroom is lovely, views, soaker tub and access to mammoth sun deck to enjoy family and friends gatherings and appreciating the sunsets. 2 additional bedrooms. There is huge unfinished room that would make great additional living accommodation, totally separate.2 car garage, extra parking.